Police are investigating the early-morning killing Saturday in Nicetown of a 46-year-old woman, a mother of nine who neighbors said was appreciated for her friendly demeanor and ready laugh. Neighbors identified the victim as Rhonda Williams, a longtime resident of the neighborhood who often swept the street in front of her home and helped other residents look after their children. "She was the greatest, she was the best," said Noonie Stevenson, a friend of Williams' who was visiting from Delaware. "She did not deserve to die like this." Around 2 a.m. Saturday, police found Williams - shot once in the back of the head in an alley on the 4200 block of Wayne Avenue, near Brunner Street, police said. She lived on the 1900 block of Brunner Street. 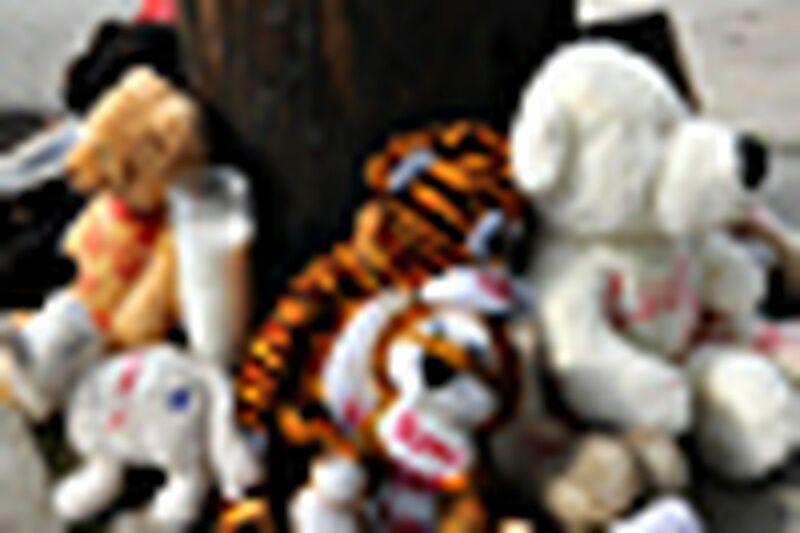 Mourners created a tiny memorial of stuffed animals and candles at the corner of Brunner and Wayne Avenue with notes saying "RIP" and "I love you." Investigators did not release a motive or provide information on a possible suspect. Neighbors said Williams had nine children. Williams' son Tyheem Williams, 29, said he had been speaking with his mother on Wayne Avenue early Saturday morning before the shooting. He left to join a friend and when he returned, police cars had converged on the neighborhood and he learned of the shooting. "We always talked a lot," Williams said of his mother, adding that she was fond of quoting Bible verses and enjoyed playfully tousling his hair. "We talked about anything." The west Nicetown section is a tight-knit neighborhood of tidy, two-story houses, some gaily painted. Even as neighbors were trying to come to grips with the killing, residents converged for a block party early Saturday evening only a few hundred feet from the scene of the crime. Longtime resident Saleem Sharik, 51, said the area once seemed far more stable. But the factories that once provided employment have closed, he said. And crime, he added, has recently intensified. "The west side of Nicetown was always the conservative side of Nicetown," Sharik said. "Not anymore."